12" Wide Aluminum offers an ideal solutions to booths that exceed 10 feet, although this truss profile and size can be used for smaller aluminum truss booth as well. 12" wide aluminum truss is a well proportioned truss size and very reliable. 12" wide aluminum truss is extremely durable and lightweight. 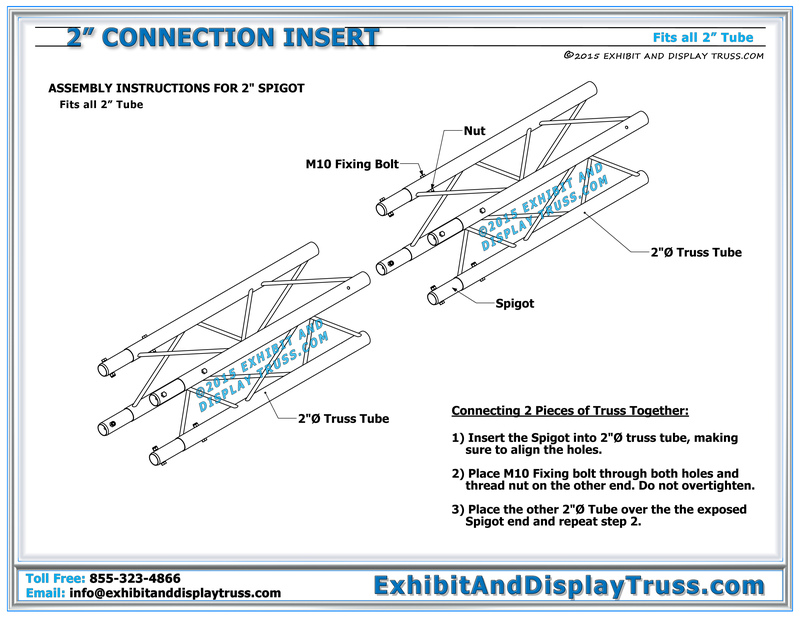 All truss kits made with 2" chords are fast and easy to assemble at any site or venue, making it a perfect solution for trade shows and fairs. It is perfect for display booths that require longer spans and for finish and start line truss kits. A 12" wide truss profile offers a better solution for booths and structures that require more structural integrity. Curved parts can also be made in this profile size and integrated into any display booth. 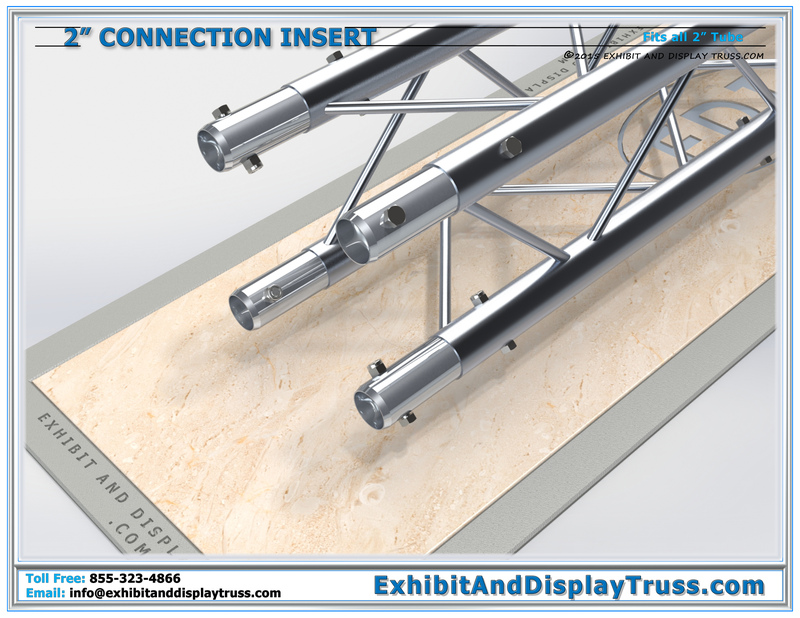 12" wide aluminum truss has a 2" diameter tube /chord size which uses a simple 2" Tube Connection Insert system consisting of a Nylock nut and bolt connection system (same connection systems used for our 10" wide aluminum truss). Quick Clips can also be used instead of the nuts and bolts, allowing for a quick and easy set up with no tools. 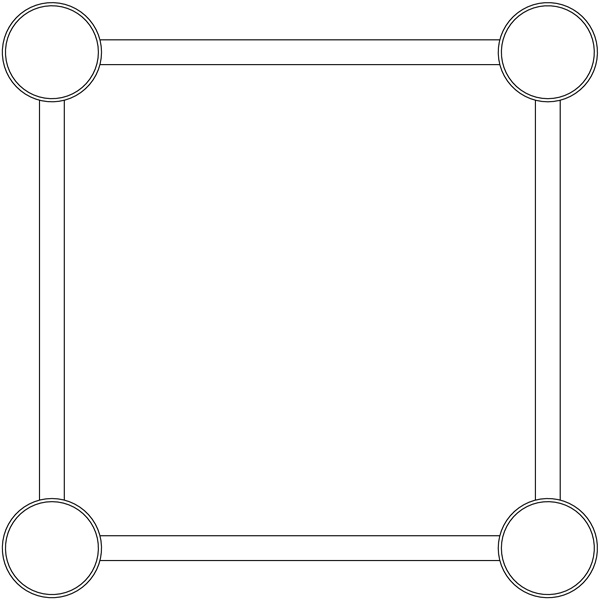 12” wide or profile truss is made with 2” chords and 1/2” webbing. Custom lengths and junctions can be fabricated quickly to create and design element you could image. Our standard library of parts makes for a massive range of designs but we’re never afraid to take on the custom jobs. 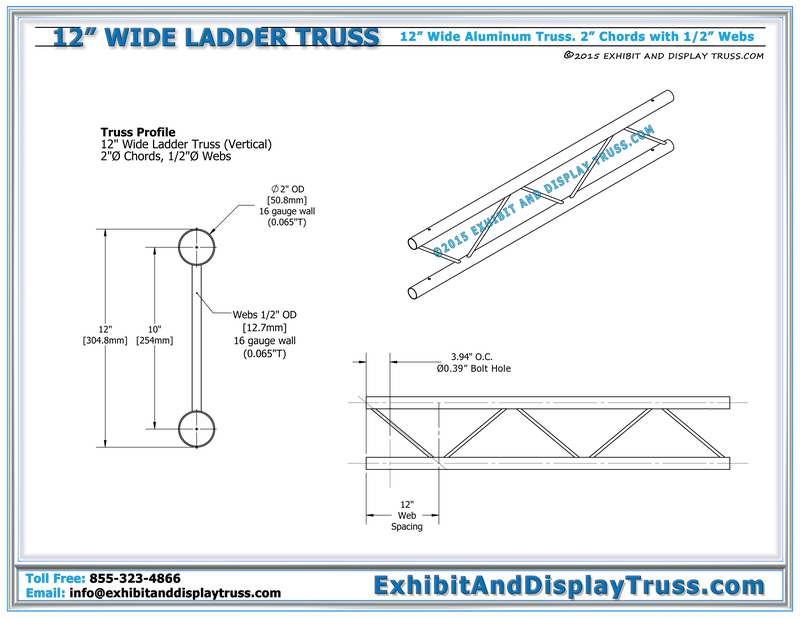 Click here to see all of our displays made with 12″ wide mini aluminum truss. 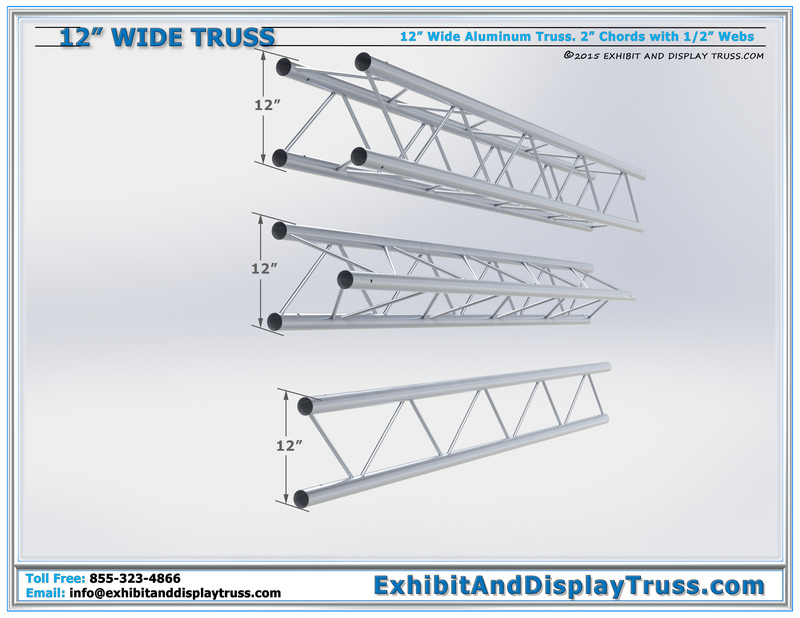 Exhibit and Display Truss can custom create any standard display booth, truss part , aluminum truss arch, or product display booth if you can’t find what you are looking for out of our standard products. 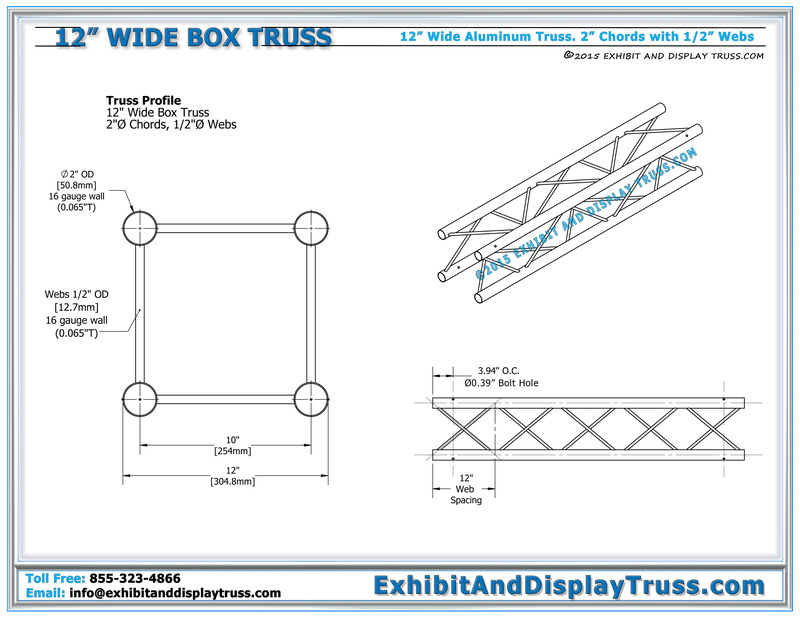 Exhibit and Display Truss offers a wide variety of truss parts and accessories. 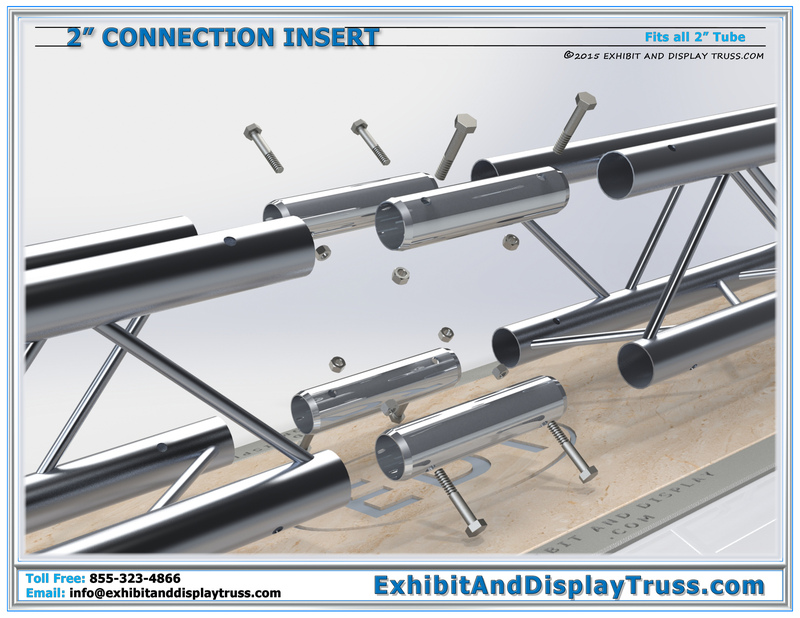 Exhibit and Display Truss stocks standard parts and exhibit booths and also has the ability to build custom parts and booths if your project requires unique configurations. 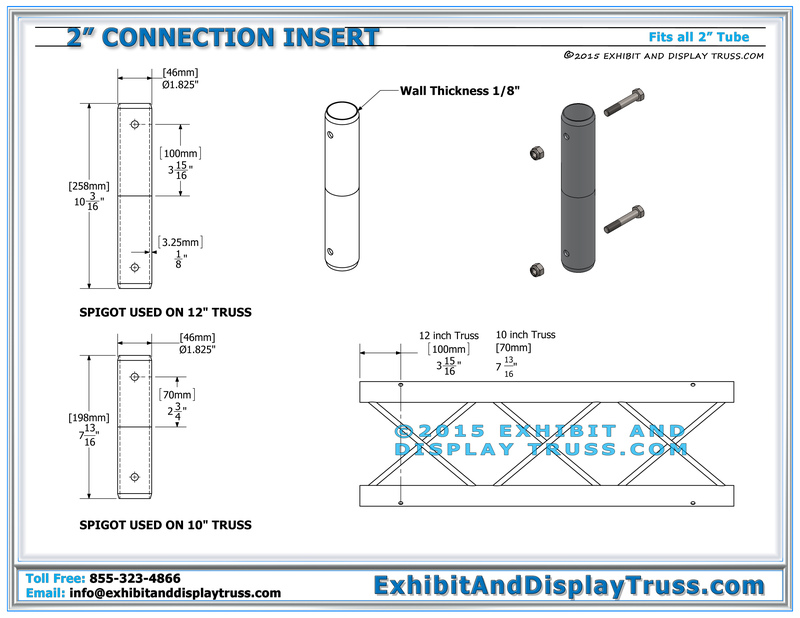 2″ tube connection inserts (and hardware) come standard with each truss part, allowing for a quick and easy assembly. 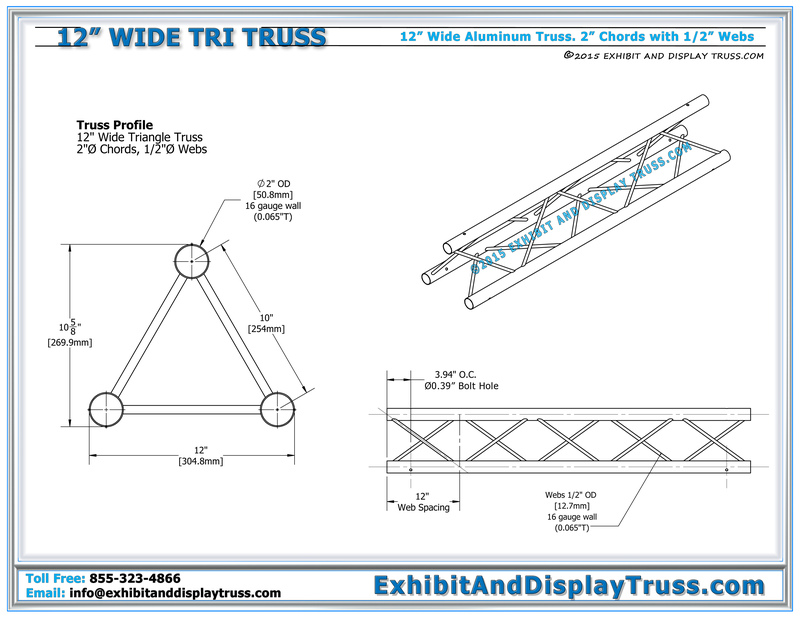 Truss components are constructed of square, triangular or flat pieces.. All of our truss structures are designed for ease of assembly and available in a number of designs and sizes. Our truss systems are constructed of durable, high-strength aluminum and steel for supporting LCD or plasma screens, graphics, lights and other accessories. 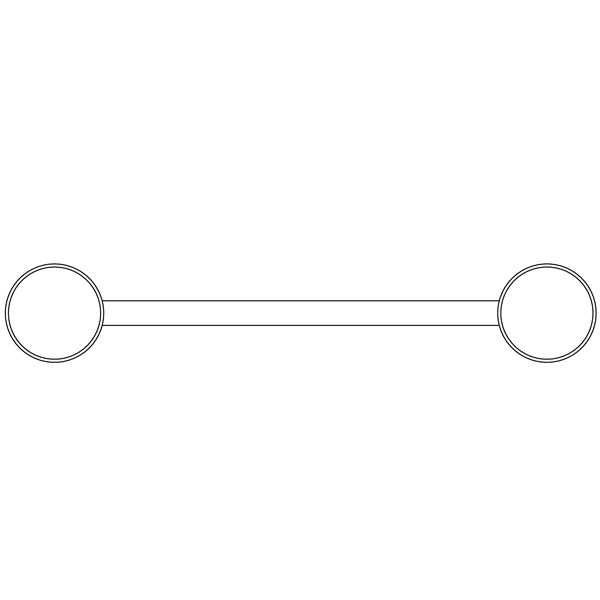 *The loading figures for Box are based on a load being applied evenly to both lower tubes. Individual loading of a single tube can reduce overall load bearing characteristics. Non-standard lengths can be produced. Any special length less than 1 foot is priced at 1 foot. All lengths include spigots. UDL = Uniformly Distributed Load. 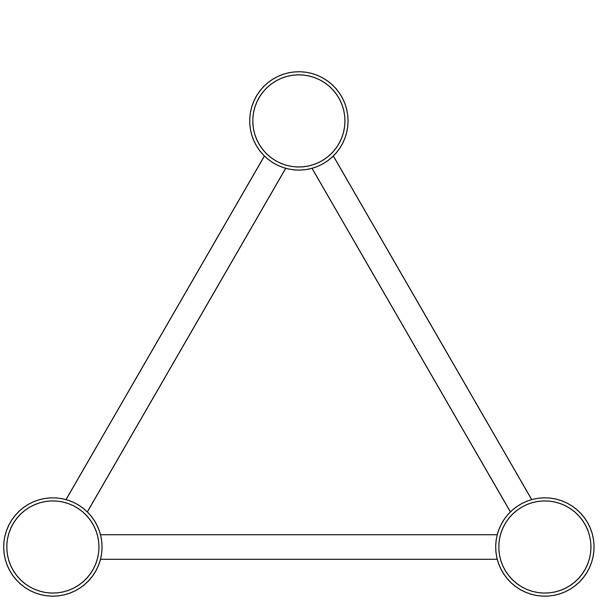 Pnt = Point Load.